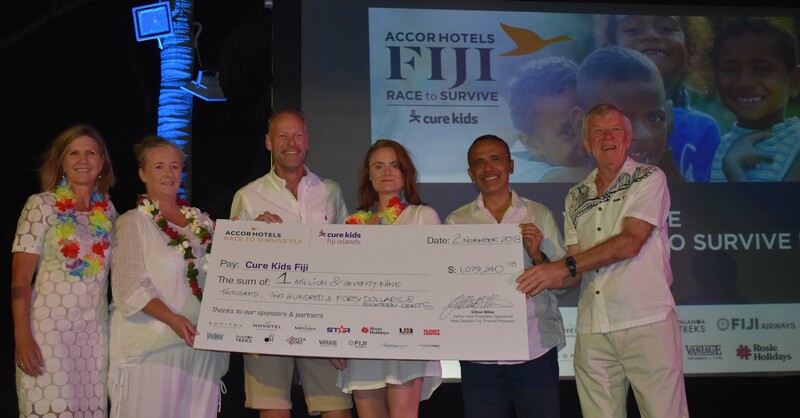 Cure Kids Fiji received a total of $1,079,240.18 from the Accor Hotel Group on Denarau last Friday. 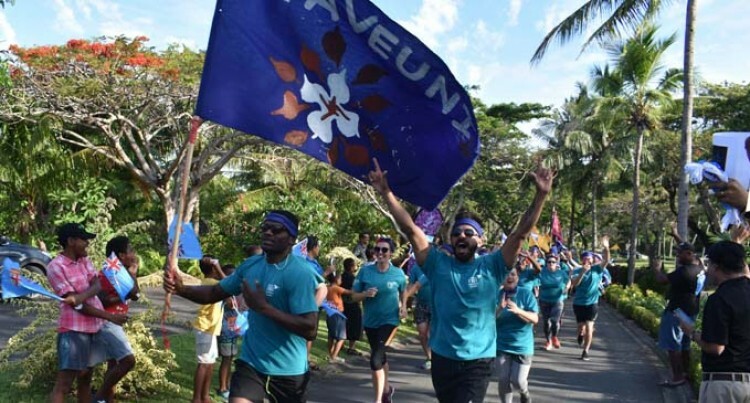 The money was raised during the four-day Accor Hotels Race to Survive Fiji Cure Kids event, which drew 100 competitors and crew in Nadi last week. Cure Kids Fiji board member Tony Whitton said the cost of Rheumatic Heart Disease to the Fijian economy in 2017, providing hospitalisation, remedial surgery and transportation, was $19 million per year. “Our responsibility as a board is to work with Cure Kids Fiji management to provide governance, oversight and ensure that every dollar you have raised is invested in the children of Fiji and is deployed efficiently and effectively,” he said. “The money will be spent via a creation of a nationwide Rheumatic Heart Disease Database with more than 4000 names. Mr Whitton thanked Accor, the sponsors and all the competitors in RTS 2018 for everything they did for the people of Fiji. “Because of tourism thousands and thousands of people come from all over the world because of the amazing industry here, bringing the great blessings,” he said. The competitors trekked through the middle of Viti Levu, stayed in villages along the way and interacted with our resource owners. They learned how to build a Bilibili (bamboo raft) and other crafts, upgraded the Nadarivatu health clinic and did a RHD screening in Nadarivatu High School and primary school. Senior Vice President for Accor Hotels New Zealand, Fiji & French Polynesia, Gillian Millar says; “We are incredibly proud of all the teams and our partners who are taking part in this event. “It’s set to be a challenging and rewarding four days. Not only will the teams competed physically they will also have the opportunity to experience first-hand the work of Cure Kids Fiji, and the incredible work their fundraising efforts will go towards. “Our goal is to raise $F1million so Cure Kids Fiji can continue to make a difference to the lives of children in Fiji,” she said.